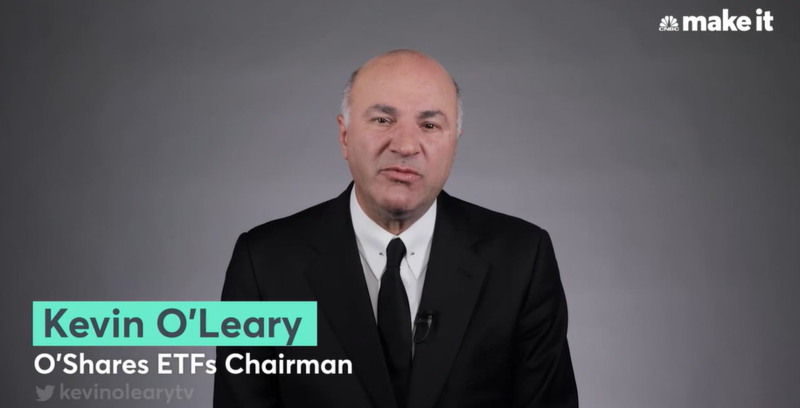 As we wash our hands clean of 2018 and look ahead to 2019 with a list of new or repurposed resolutions, “Shark Tank” television personality Kevin O’Leary reminds everyone to always put this goal at the top of the list. According to the latest statistics from ValuePenguin, the average American household has $5,700 in debt, including $9,333 for balance-carrying households. Unfortunately, that average has been climbing since 2013. “New Year’s Eve, you look at your credit card and you say to it, ‘I’m paying off your balance buddy, and I’m going to do that before July,'” said O’Leary. “Make that a New Year’s resolution. Investors have seen their fair share of volatility in 2018 with the with Dow Jones Industrial Average losing 6.70 percent through Dec. 30, while the S&P 500 has shed 7 percent and the Nasdaq Composite is down 4.632 percent. If the volatility persists in 2019, O’Leary reminded investors to view the market movements as normal. In fact, in the current economic landscape, volatility has been the new normal as evidenced by the CBOE Volatility Index stepping past its 200-day moving average since October. Investors who have grown accustomed to the steady returns seen during the thick of the extended bull market now have to adjust to this normalcy. When the markets are giving investors a ride on the roller coaster of volatility, O’Leary recommends staying invested regardless of what the prices are doing. As opposed to simply staying on the sidelines in cash to wait for the most opportune time to purchase, it’s best to utilize dollar cost averaging–an investment strategy that involves purchasing an investment on a regular basis, irrespective of the fluctuations in price–particularly when prices are low–resulting in an accumulation of the asset over a period of time.